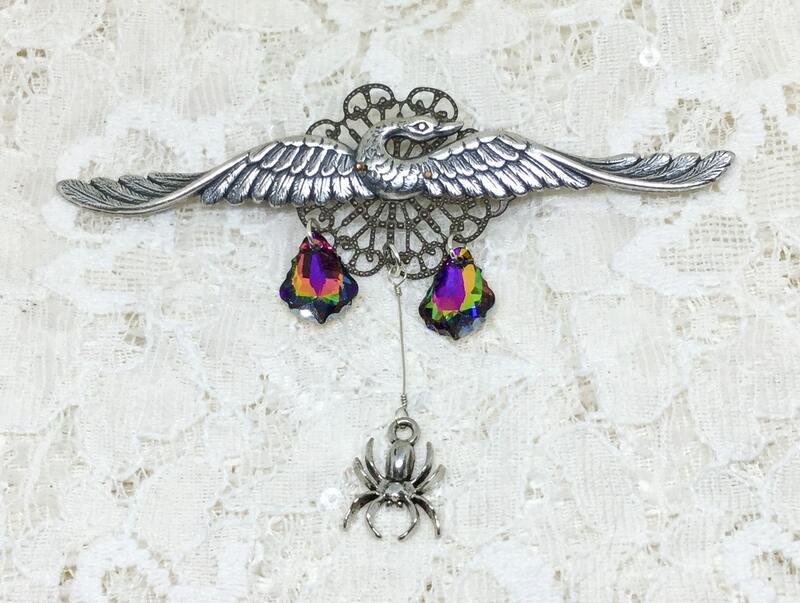 This is an awesome whimsical steampunk brooch that depicts a spider hanging from a thread with two raindrops. The base is a brass filigree with a flying goose riveted on top. The two raindrops are Swarovski fancy rhinestones.....faceted baroque pendants with the color - crystal electra. 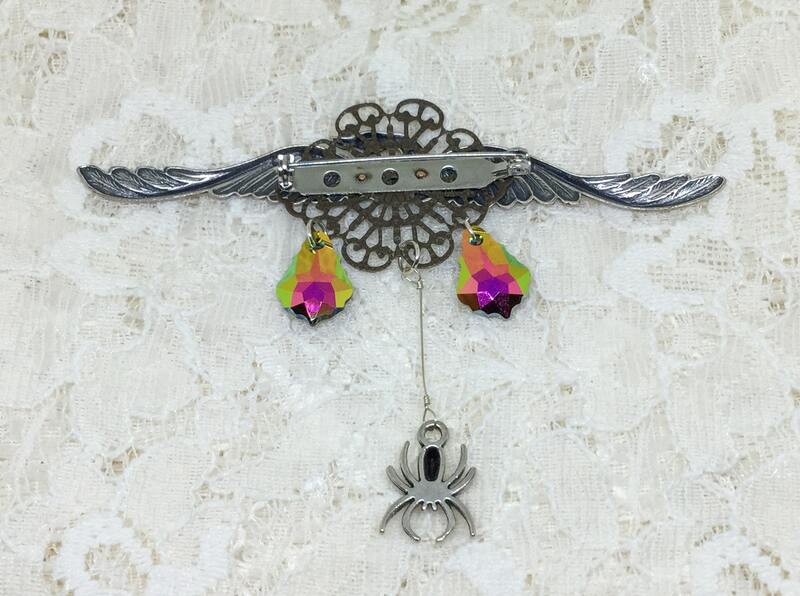 The silvertone spider is hanging on a simulated spider web thread of a thin Sterling Silver wire. It measures 4” x 2 7/8” and the pin back is straight and works smoothly and securely. Definitely this is a one of a kind brooch that would be a great gift to yourself or a friend....quite a conversation piece! Handcrafted in our studio by Steve.